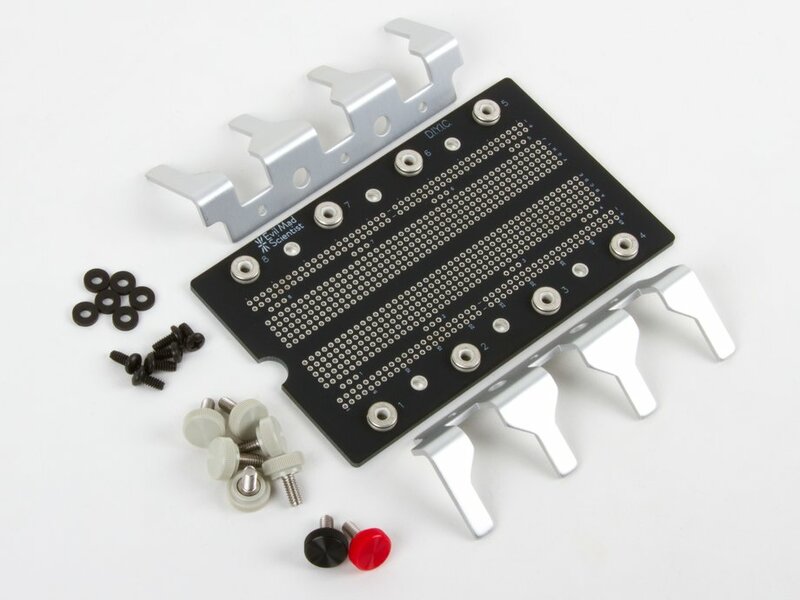 The kit comes complete with the "Integrated Circuit Leg" stand and 8 color coded thumbscrew terminal posts. 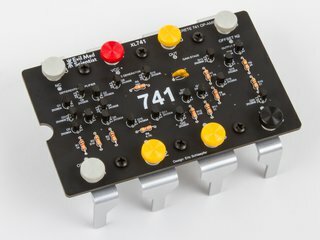 Using the terminal posts and solder points, you can hook up to your "IC" with with bare wires, lugs, alligator clips, and/or solder joints. 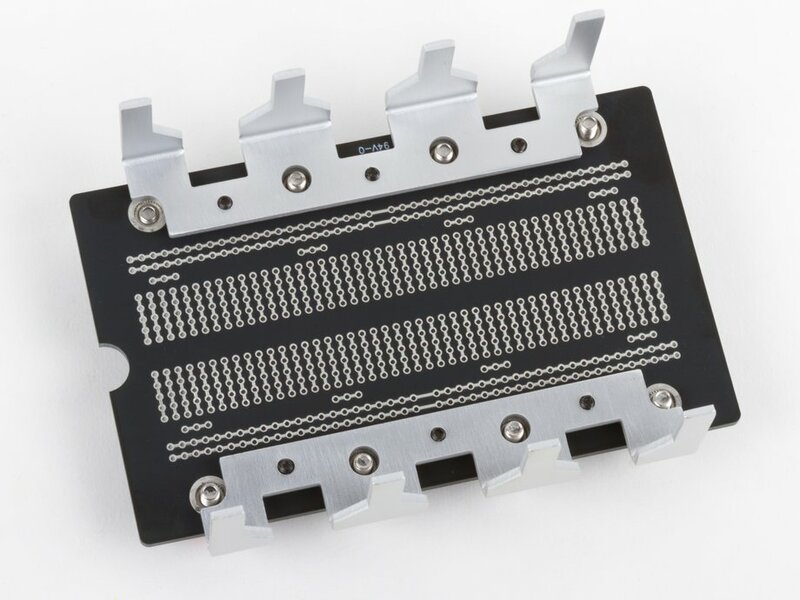 Connections to the 8 terminal posts are through the three-position strips on the PCB; each is labeled with the corresponding pin number. 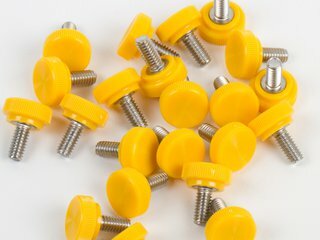 Color coded terminal post thumbscrews (1 red, 1 black, 6 gray). 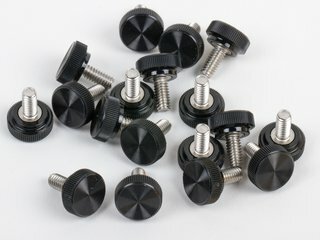 Trilobular thread forming screws (6 pieces, black, 6-32 thread size), and spacers for mounting the stand. 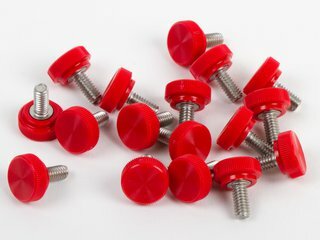 The included assortment of 8-32 thumbscrews (1 red, 1 black, 6 gray) will work for many projects. 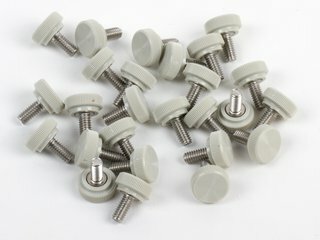 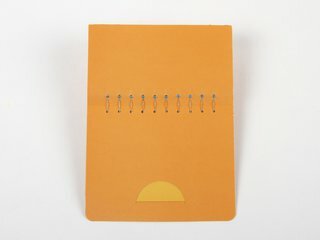 These screws are also available à la carte on our hardware page, in red, black, gray, and yellow. 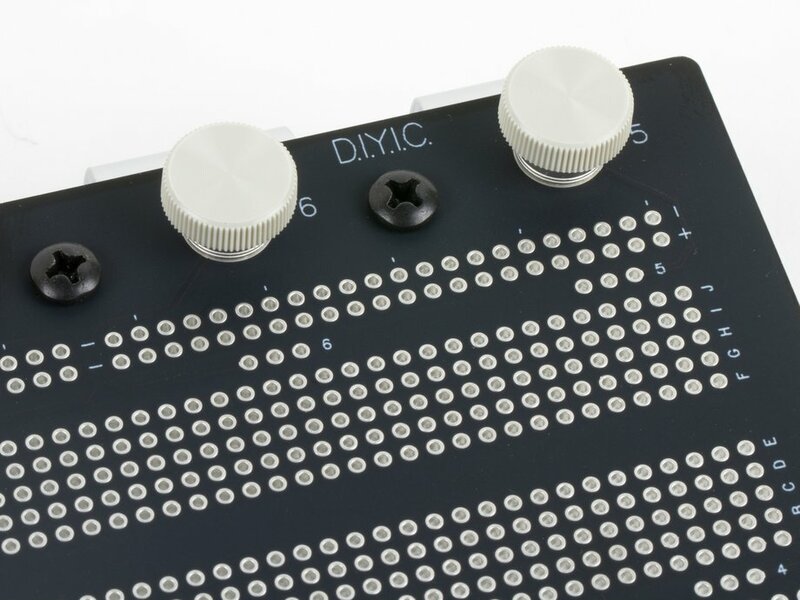 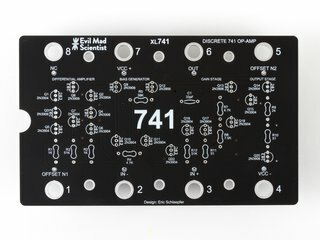 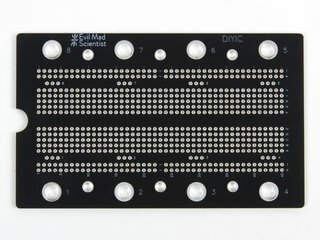 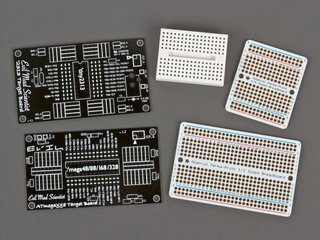 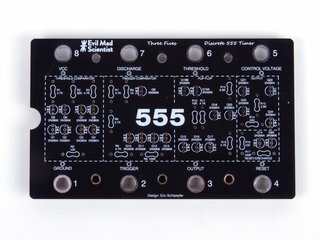 The DIYIC kit printed circuit board is 5.215 × 3.175 inches (13.25 × 8.06 cm) in area, and (nominally) 0.100" (2.54 mm) thick. 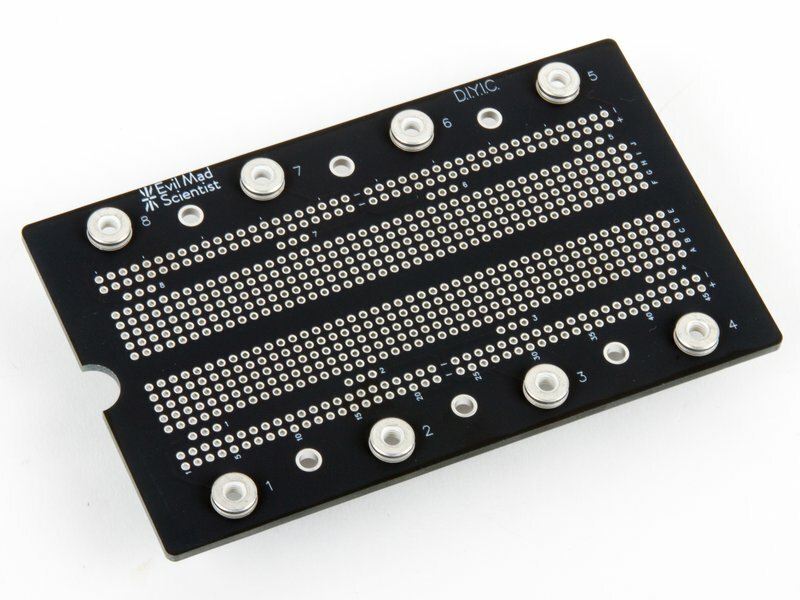 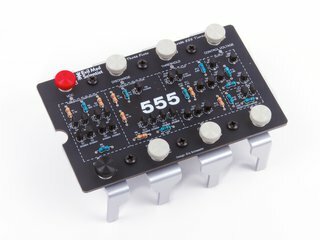 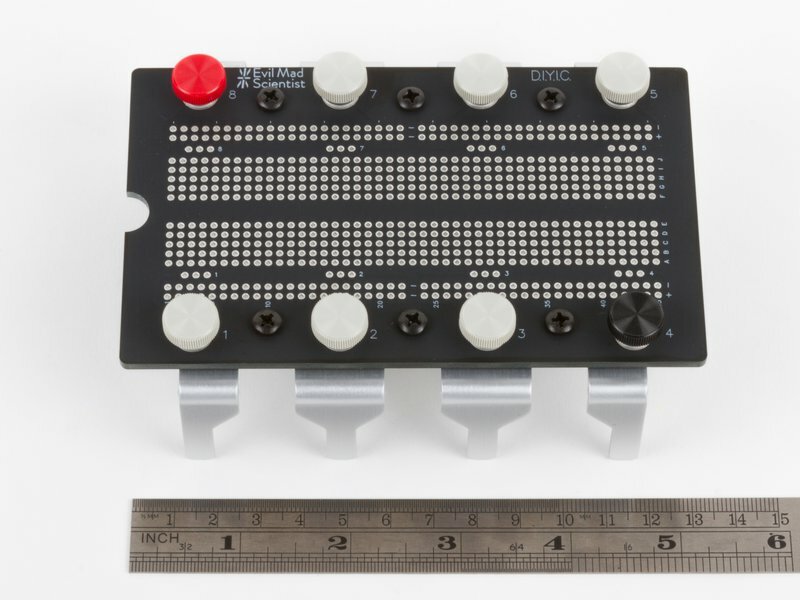 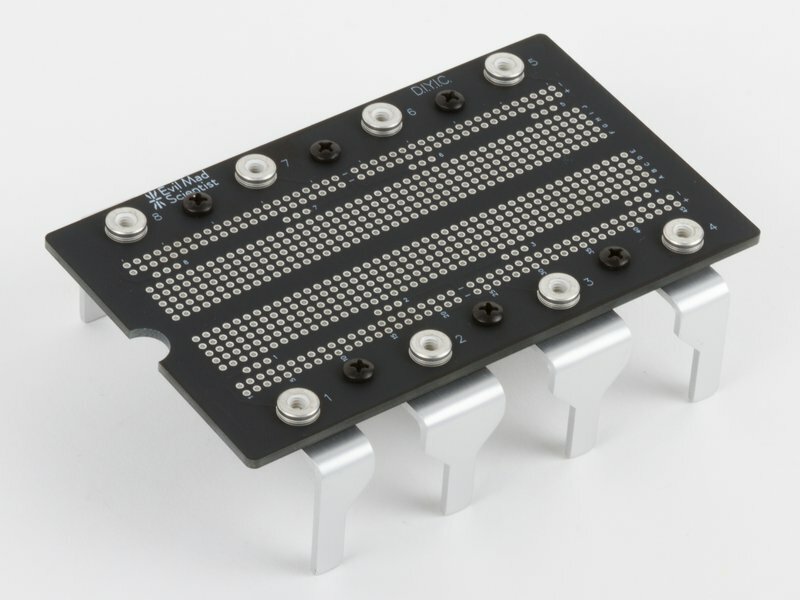 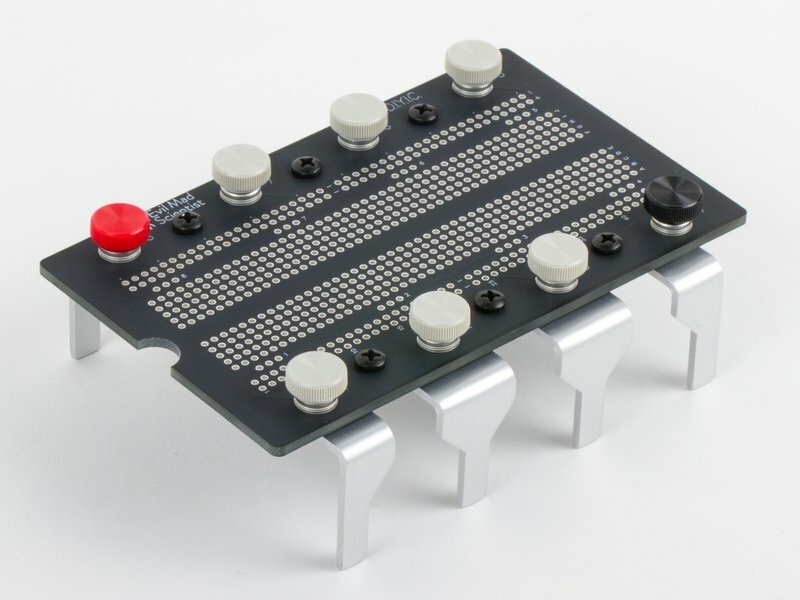 Including the "Integrated Circuit Legs" stand and terminal posts, the overall size of the assembled kit is nominally 5.215 × 3.9 × 1.70 inches (13.25 × 9.9 × 4.3 cm).